Acne is a skin disease that involves the oil glands at the base of hair follicles. The glands are stimulated by male hormones produced by the adrenal glands of both males and females. Hormonal changes lead to the skin becoming sensitive to a hormone known as DHT. The skin responds by increasing sebum production, decreasing natural skin cell shredding meaning dead skin cells clump together and form a plug in the pilo-sebaceous duct. The skin bacteria start to digest the plug and produce by-products which cause inflammation. 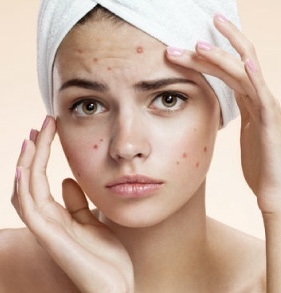 Bacteria is therefore not the cause of acne but it is their response to the changes in the skin which leads to spots. We have a range of products and treatment protocols designed to treat and control the symptoms and causes of acne. Suffer from Comedonic or Inflammatory Acne? Designed for the treatment of Active acne, contains active ingredients from Tebiskin® OSK creams within the peel to deliver a high dose of anti-inflammatory, antibacterial, sebum and cell turnover slowing ingredients into the pilosebaceous duct, combined with salicylic to reduce oil, exfoliate and open up the duct opening. Specially formulated for controlling hyperkeratinisation of the pilosebaceous duct and the removal of the horny plug. It is also used for controlling the inflammatory phase of papules and pustules. Triethyl Citrate, Ethyl Linoleate and GT Peptide 10 are delivered with the peel to control bacterial colonisation (changes the environment which kills Propionibacterium acnes) and also restricts the inflammatory process. We have a new specialist treatment available to get rid of your chest and back acne. It is designed specially to treat this difficult area. It is the same as the Enerpeel® SA but specific for the chest and back area. 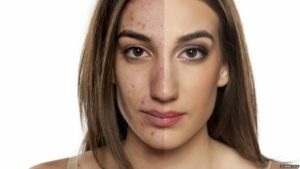 Acne Treatments in Sawbridgeworth, Hertfordshire and are with 30 mins drive of Bishops Stortford, Epping, Sheering, Harlow, Hatfield Heath, Hatfield Broad Oak, Birchanger, Takeley, Stansted Mountfitchet, Manuden, Fyfield, Elsenham, Hoddesdon, Furneux Pelham, High Easter, Henham, Chipping Ongar, Hertford, Widdington, Clavering,Theydon Bois and other surround towns in Essex, Herts and London.